During the dawn of a new millennium, Japan is in the state of near collapse. Unemployment has hit an all time high, and the youth is chaotic and out of control. Children in school completely boycott learning and commit physical damage upon their superiors. So, the government has come up with a plan called the Battle Royale Act. This act is overseen by a former teacher named Katano ('Beat' Takeshi), who is sick and tired of teenagers mocking adults. A random class of forty-two students is sent to a desolate island and forced to fight to the death. All of the students are given a weapon, whether it benefits them or not is completely random. Some are lucky and some aren't. There is a three-day limit on the so-called game, and the main rule is only one student can be left alive. If more then one student is left alive, an explosive necklace they have received goes off on impact killing them all. Disturbing, horrific, emotional and sad are the best words to describe this extremely controversial film. 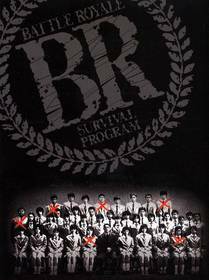 Battle Royale is one of the best and most original films to come out of the Japan market as-of late. It doesn't fit in the genre as some of the more recent Asian films do. This is more along the lines of a dramatic and morbid comedy. Yes, there are some comedic moments in this film; but it's the type of comedy one might feel bad about laughing upon. This movie is extremely graphic, and is a serious approach in most aspects. There is a strong sense of depression amongst a lot of the students. Most of them try to band up into groups in hopes of figuring a way off of the island alive, and without having to kill each other. However, there are some others that are emotionless and show no remorse. Aside from the class of students sent to the island, there are two special exchange students so-to-speak. One being a sole-survivor from a past battle who is sent there to fix the game, and the other a psychopath who simply signed up for fun. Nanahara (Tatsuya Fujiwara) and Noriko (Aki Maeda) are the two main characters of the film. Nanahara, whom has lost both of his parents, has vowed that he will not let anything happen to Noriko and will protect her at all costs. This is an extra difficult job because these two get some of the worst weapons the game has to offer. The acting in Battle Royale is pretty good all across the board. 'Beat' Takashi has the best role in the film as Katano, the unforgiving teacher. What has pushed him to the level of punishment this extreme? Well, besides just being fed up with snot nose punk kids, his life at home is pretty rough as well. During the scene of directions and rules being introduced for the game, Katano lets the teens know who is in charge. Ultimately, realization that this is no joke presents itself very quickly. Some actions by the classmates should have been more realized, though. They only have three days to get this morbid job done; yet some of them do what their everyday life consists of. Scenes of jogging and thinking of the past could've been missing from the film without any complaints. The gritty pace of the film is more or less left in limbo at the end of the film too; but the finale still works well. The cruelty and death in Battle Royale may be very overwhelming at first, for it takes no time to ensue upon the screen. It truly isn't a gory film, but the deaths are very realistic; and some are quite bloody. Kid's get honored with machine guns, grenades, tracking devices, pistols, knives, swords, a pot lid; you name it. The film is showered with an unprecedented display of creative death scenes. The explosive necklaces worn by the classmates cause the most grueling effect of the movie, due to the insane amount of spraying blood. Also, a nasty crotch stabbing is presented first hand for the viewer; female or not, you will cringe. After viewing Battle Royale it's hard to not be overall in love with it. A beautifully directed setting, wonderful pace and for the most part, very interesting characters make this movie a literal Japanese horror favorite. 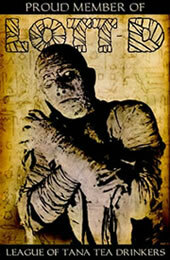 This is one film that is not likely to be remade by any U.S. franchise, at least for the time being. Mainly because it's not everyday you get to see a film about teenagers having to brutally discard each other. Sure, teenagers die in Hollywood horror films every other week in this day and age; but it's truly not anything like this. This is extremely Un-mainstream. A regular movie going crowd isn't ready for something like this, and that's almost a good thing. Highly recommended. The Tartan Asia Extreme DVD of this film is designed for NTSC players. Battle Royale is presented in wide screen format, with beautiful and perfectly legible subtitles. For special features you are blessed with Star and Director filmographies, Film notes, a Stills gallery and the original theatrical trailer.